Google Nexus TV Launch in Q2 2014 - Another Failed Attempt? Rumors claim that Google is trying to dive in the living room content once again. 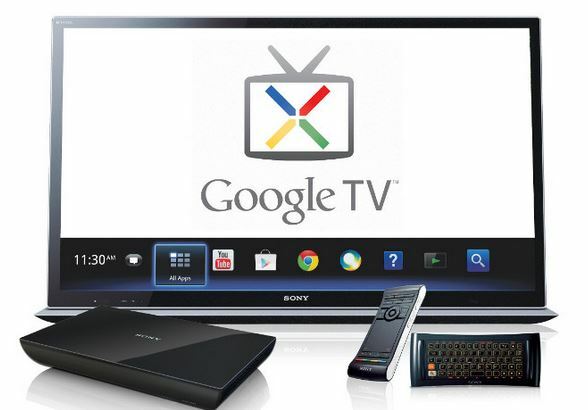 The report claims that Google will launch its Nexus TV set-top box or device as earlier as the first half of 2014. Google has decided to launch its Nexus TV in the first half of the next year, suggests The Information. The site refers to people who have seen the device or were told about it as its source. Google has previously attempted to launch Nexus Q an Google TV idea which were never really successful. With this new Google Nexus TV launch, the company might un-jinx itself from the living room gadget world. Google Nexus TV is reportedly not an average television. Instead of broadcasting regular TV content, Google will make it to deliver web-rich media supposedly inspired by Google TV project. Considering it will not be a regular TV but more like a set-top box, Google might offer customized Nexus TV paired with various manufacturers. Previously, LG and Google alliance over TV has been in rumors. However, if the content rich set-top box is some actual news, Google might move beyond only LG. Google itself has a pool full of rich content, from Google Movies to Google Music and YouTube; the company could offer a subscription merging it with Google Search and creating quite a new device. The Google Nexus TV is supposed to be running on Android and will stream from Netflix, Hulu, etc. Gaming can be a potential part of this Nexus set-top box too. According to The Information, the device is aggressively priced. The current Chromecast (streams from a few services) if being offered at $35 and is going better than Google’s previous attempts at living room gadgets. Google might take this concept to a completely new level which would eventually affect the pricing. Google Unveils Android TV – About Time!